Sharpening your lawn mower blades may not be top on your list of things to do, but there are many reasons why you should keep your lawn mower blades nice and sharp. Wen you cut your lawn with sharp blades you give the grass blade a nice clean cut which helps to keep the lawn stronger to ward off disease. 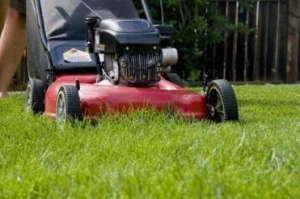 Dull lawn mower blades not only tear the tips of grass, they can also tear grass out by the root. That means a sparse lawn, which means open space for weeds to creep in. Sharpen your lawn mower blades, and your lawn will be thicker and healthier, which will help crowd out weeds. No weed control chemicals necessary. You can sharpen your lawn mower blades at home with a file, or take them in to a local hardware store and let an expert handle the job. Make sure to start the cutting season with good sharp lawn mower blades. Your lawn will love you for it.